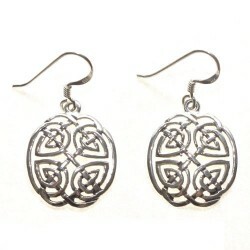 925 sterling silver celtic knot earrings with hook system. 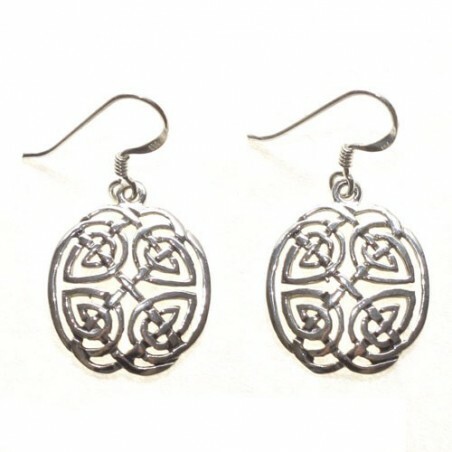 925 sterling silver celtic knot earrings with hook system. This design was used to ornament Christian symbols and monuments such as celtic crosses, books and walls. It has its origins in the Roman Empire where artists made mosaics by drawing pattterns with knots on them.